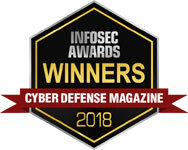 It may be that organizations are beginning to realize that traditional information security defense mechanisms are not sufficient against cyber criminals with constantly changing threat tactics. Even so, in this evolving threat landscape, many organizations are not utilizing the best protection to prevent cyber-attacks. A recent study suggesting that 41% of organizations are planning to increase their IT security budget by 16% in 2014 will, of course, comes as welcome news to those who operate within the industry. Interesting article in Business Computing World resonated with our views on the threat landscape of today and why a real-time file integrity monitoring approach is increasingly being seen as an essential security best practice. This opinion piece is receiving coverage in a number of publications and has ignited the debate about just how effective anti-virus is today and why file integrity monitoring is now essential. Predictions that the IT security industry is set to expand tenfold over the next 10 years will, of course, come as welcome news to those who operate within the industry, but the imperative for more investment now has never been greater, if corporations are to counteract the present threats that are very real and ongoing.